Leah G. Oswanski, MA, LPC, MT-BC and Erin Bolding, MT-BC have spent this past year helping numerous patients and families deal with a diagnosis of cancer. These skilled music therapists employ many forms of music therapy to help reduce stress and anxiety, decrease physical pain and discomfort and provide a sense of control and normalcy in an otherwise abnormal environment. For patients on the inpatient and palliative care units Erin is often called upon to assist with music therapy support during bone marrow biopsies, and for interventions during the difficult days encompassing end of life. She uses music to redirect attention to something more enjoyable and familiar, often teaching breathing and relaxation techniques, sharing favorite lyrics and songwriting experiences and even providing musical instruments for those who choose to play. Leah has been working on several exciting research studies. She and her colleagues presented the results of their study “A Mixed Methods Study of Music Therapy: Nurse Referral Patterns and Outcomes of Pain and Anxiety at the Morristown Medical Center nursing research conference on September 17, 2018. This study has been submitted for publication in the Journal of Oncology Nursing. In her capacity as a ranking member of the American Music Therapy Association Leah continues to present and teach on topics within her wide range of expertise. She has worked diligently for the rights of LGBTQ+ patients and takes pride in Atlantic Health’s A rating on the equality index. She recently started The Heartbeat Music Therapy Project. The patient’s heartbeat is recorded, and then used to create a music track or cd incorporating the heart beat. The patient receives the finished recording to use whenever he/she can benefit from music created for her personal profile. As an adjunct professor at Montclair State University she is exploring ideas for independent study credits for music therapy students. Music Therapy practicum students continue to train at MMC. All music therapy services are complementary to patients at MMC and the CGSCC. To learn more please visit www.jfwmemorialfund.com or call Leah Oswanski at 973-971-5919. Thank you to our donors and supporters for helping us help so many. Your gifts give patients the choice of music therapy during their treatment and recovery. Our volunteers are eager to help. They will offer a kind word, or maybe just a smile and a cookie. Music in the Atrium at the Park welcomes you and hopes to make your visit an easier one. We are most grateful to the doctors, nurses, technicians and staff who urged us to bring our program to the MD Anderson Center. Every Thursday both old and new patients marvel about the music, the ambiance and the upbeat mood. Thank you to everyone who has donated to our Foundation. Since our inception in 1997 we have used your gifts for a multitude of services offering emotional support and comforts that extend beyond normal limits. To continue to support our programs please send a check in the envelope enclosed in this newsletter or go online to donate at www.jfwmemorialfund.com. 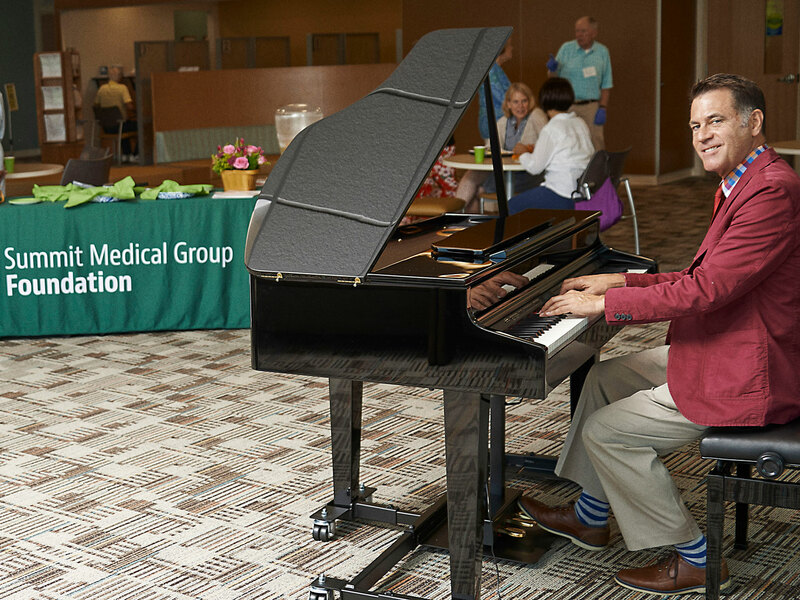 Our talented volunteer musicians Vince Maiola and Steve Minzer perform every Tuesday in the lobby of the Carol G. Simon Cancer Center. Thank you Vince and Steve for sharing your music and your time with us. 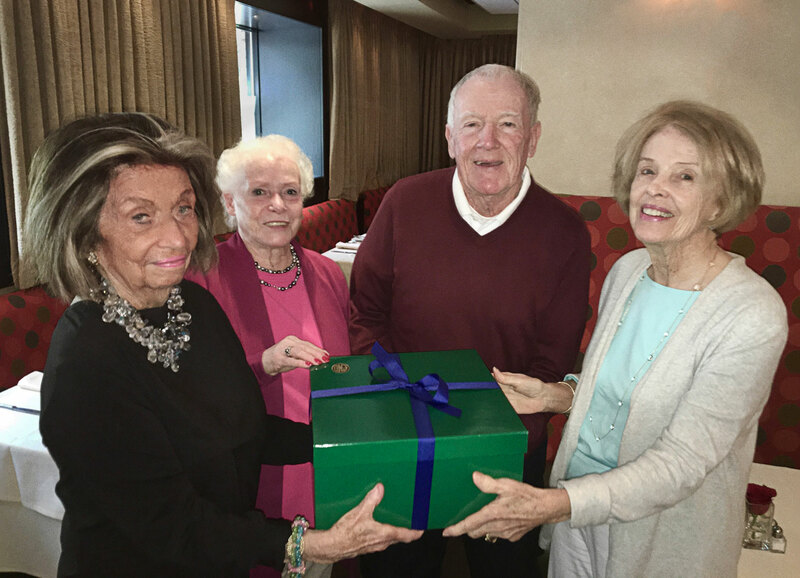 The Jeffrey Frank Wacks Memorial Fund has a true and everlasting friend—the Knights of Columbus George Washington Council. We have been the recipient of many generous donations from this fine group. The Knights of Columbus support many local and worthy organizations. One special member, John Lee has been volunteering at Music in the Atrium for many many years. He is a special man. And a special volunteer. When John is away or not volunteering, which is a rare occurrence, we repeatedly hear, “where is John?” His presence generates smiles, connotes new jokes, and brings an assurance that this day will be an easier one. Thank you to the Knights of Columbus George Washington Council for supporting our efforts. Thank you for being our friend. Paula Moccia began to sew at the age of 10, leading to a fulfilling career in childrens’ wear. When she retired, Paula became a volunteer at the Carol G. Simon Cancer Center. Her passion for sewing and her concern for patients dealing with hair loss led her to create T-Caps- comfortable, soft hats made from t-shirts. A committee was formed with cutters, sewers, and decorators. A call for donations of t-shirts and embellishments went out. Thanks to the enormous support of the community and beyond Paula and her helpers have provided over 1,000 Tcaps to our patients. And they are just beginning — many other hospitals have asked for Paula’s assistance in starting their own programs. Paula desperately needs more cutters, sewers and decorators. If you are interested in helping please email Paula at nanniorig@aol.com. Irina Pavlova was born and raised in Yaroslavl Russia. In college she moved to the United States where she studied English and History, forced to put her passion for art on hold. She landed her “dream job” in business and spent several years achieving success but feeling unfulfilled and on the wrong career path. Opportunity and circumstance brought her to St. Louis. She submitted a portfolio to Washington University and enrolled as a transfer student focusing on design and determined to begin a new life and new career. These years brought great changes to Irina’s life, some positive and some laden with fear and anxiety. Alone with no family she credits her friends and the University for supporting her and helping her move forward both personally and professionally. Her art is inspired by her connection to a local nonprofit organization, We Stories. We Stories promotes racial literacy in St. Louis through children’s literature. Irina’s project is a book that looks at the history of white flight and redlining and how they affected property values and redistribution of wealth from the city to the county. 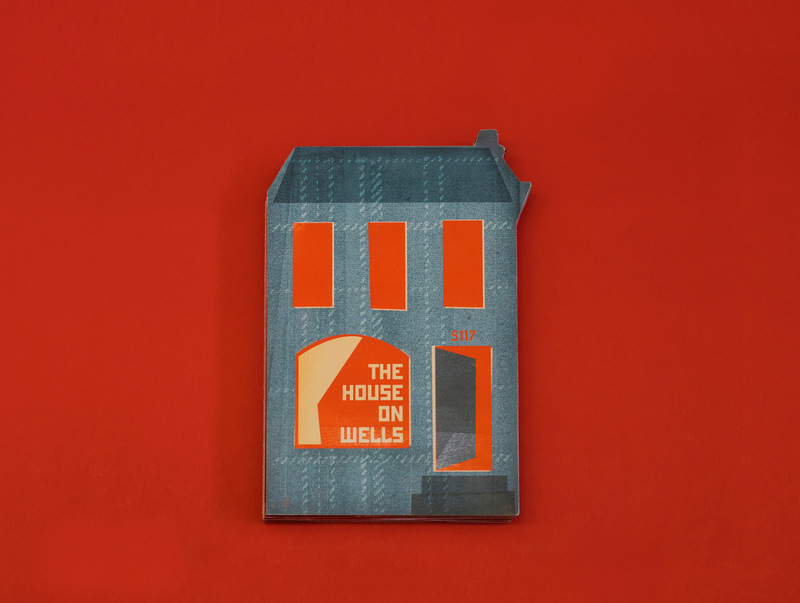 Her book looks at the “life” of a single home from the perspective of the house itself. Printmaking and letterpress classes at the Sam Fox school of art helped this project evolve.